US equity futures moved higher in pre-session hours on Monday amid growing political risks over US-China trade relations and as players looked ahead of key economic reports. President Donald Trump and his Chinese counterpart Xi Jinping are expected to meet at Florida’s Mar-a-Lago golf resort to discuss jobs and trade. Wall Street top three indexes ended lower on Friday, as market participants continued to receive key economic data while keeping their eyes on speeches from Fed officials. 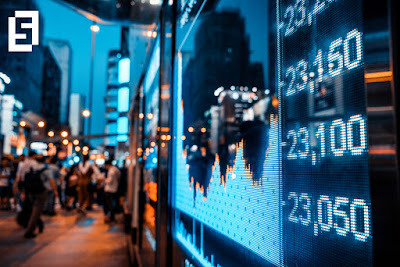 In the last day of the first quarter, the Dow Jones industrial average dropped nearly 65 points, with Goldman Sachs among the strong decliners. The S&P 500 was also dragged by financials, while the blue-chip Nasdaq composite finished around breakeven. While US stock indexes closed in red territory on Friday, together they amassed 4.6 percent in profits during the first three months of 2017. Not so bad, right? Last week, Washington’s actions remained on the spotlight after President Donald Trump pulled the healthcare bill due to insufficient support from its own GOP colleagues. The American Health Care Act (AHCA), also known as “Trumpcare”, was meant to replace the previous legislation approved by Barack Obama, which was heavily criticized by Republicans. Now, investors are trying to figure out how Trump’s administration will actually move forward with its long-awaited heavily-advertised tax reform and a series of deregulation measures for key industries of the economy. The AHCA was not so much about healthcare, but rather a confidence test of whether Trump is able to coordinate efforts with its own peers or not. On the data front, core PCE for February came in at 0.2 percent, in line with month-over-month expectations and at 1.8 percent from last year, tick higher than forecasted. Personal spending was down by 0.1 percent in February. Analysts had predicted a 0.2 percent build. Chicago PMI outperformed estimates with 57.7 points. Also on Friday, Michigan University released its consumer sentiment index, which came in at 96.9 points in March, while economists were pointing at 97.6 points. Ahead in the day, investors are waiting for Markit’s Manufacturing PMI for March as of 13:45 GMT, with expectations at 53.5 points. The Institute of Supply Management will also release its own manufacturing PMI index at 14:00 GMT. Also, a series of Fed speakers is due today including New York Fed President William Dudley at 14:30 GMT, Philadelphia Fed President Patrick Harker at 19:00 GMT and Richmond Fed President Jeffrey Lacker at 21:00 GMT.